Major League Baseball is a stubborn old man stuck in his stubborn old ways. Any mention of change within the game, and he wets his pajamas before considering the point. Michael Lewis wrote a book about how statistical analysis reveals undervalued resources in the player market, and columnists nationwide declared holy war on behalf of scouts and coaches, labeling the enemy as geeks with laptops, computer nerds, and math dweebs. Five years later, cranky announcers and blog-hating columnists still see a world divided between good and evil, a world of America and tradition versus all proponents of “Moneyball,” the book old man baseball believes was written by an evil math-obsessed demon. Most of these critics even happily admit to refusing to read their prized object of scorn, the old man blindly taking his neighbor’s word for it that the kids are up to no good. So don’t expect much change of any kind, anytime soon, in the way baseball is officiated. Even after a season during which an umpire admitted to blowing a call that would’ve sealed a perfect game (it would’ve been only the 21st perfect game in history) and several obvious mistakes dramatically affected the outcomes of playoff games, don’t expect change. Old Man Baseball is scared of new, he’s terrified of fresh, and above all he hates change. Sure, his cousins NFL and NBA tinker annually to produce the best ultimate product – competitive games and scandal-free championships. They change the rules to get defenders hands off of ball-handlers and wide receivers, promoting more creativity and scoring, and they move three-point lines and football field hash marks to positions better optimized for their athletically evolving players. And they embrace instant replay as a tool for the officials in ways that Old Man Baseball won’t dream of, can’t even consider, wouldn’t dare to. Apparently not ever. But let’s dream for him. Imagine Old Man Baseball falling for a pretty young thing who whispers crazy forward-thinking ideas into his giant hairy old-man ears. Imagine him actually wanting the fairest outcomes for all his games, all his players. Imagine him actually prioritizing calling plays on the field correctly, prioritizing the calls over even tradition itself. Where would he start? Fixing baseball umpiring requires two co-dependent changes: (1) dramatically expanding the use of technology and, (2) completely redefining umpire’s responsibilities. For both measures, baseball has to first recognize how extremely difficult it is for humans to umpire a game played at super-human speed. 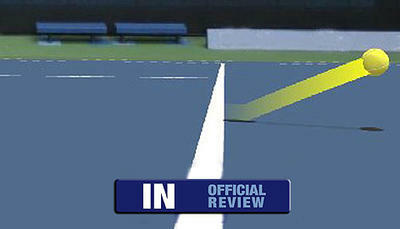 After decades of conflict over line calls pitting players against officials, professional tennis now uses Hawk-Eye technology to judge line calls with universally respected results. Leaders of cricket (baseball’s daddy or step-father, depending on who you talk to) are testing the same system to assist its officials. Quite simply, Hawk-Eye has proven that cameras and computers can see what humans can’t: the exact – not just the close – paths and landings of spheres moving in excess of 150 miles per hour. Employ Hawk-Eye in baseball to judge the foul lines, and we can now be confident about every would-be double or triple’s true landing spot. Ending (or at least wholly minimizing) its greatest and most common source of contention since its invention, pro baseball could take the calling and balls of strikes out of the incompetent home-plate umpire’s technologically inferior eyes and hands. Once again, all it needs to do is recognize the superiority of cameras and computers when tracking the precise flight of speeding objects. And once again, the necessary technology conveniently happens to already exist. 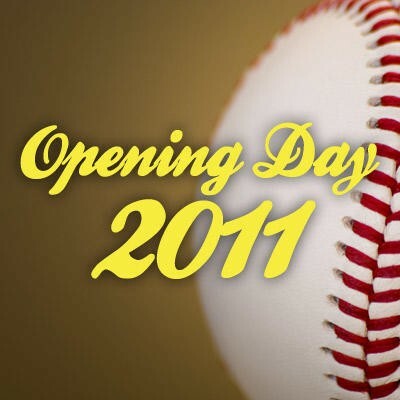 Old Man Baseball already uses Questech to review and grade its umpiring, and every network broadcasting baseball, including the in-house MLB network, uses a pitch-tracking system that shows its viewers the exact trajectory of a ball across, around, or outside the strike zone. So Old Man Baseball already lets his fans know how the home-plate umpire did, replaying the action alongside a digital re-creation within an animated strike zone. 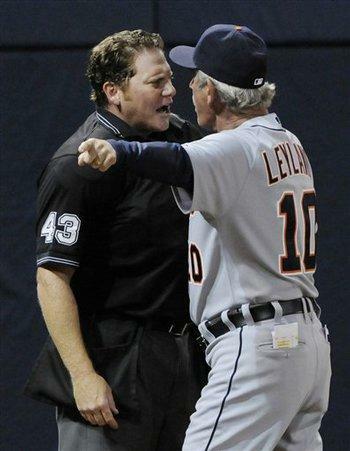 All baseball needs to do now is allow someone else to correct the home plate ump when he’s blown a call. And this is where it’s both so simple, but also most impossible. Baseball needs to put its lead umpire in the instant replay booth. Flanked by monitors, he can call balls and strikes after the best technology available has captured the action, and then signal to on-field umpires to make the calls or just push his own button to light up the scoreboard. He can buzz the ear of a first-base umpire to overturn a close call when that umpire misjudges a bang-bang play. 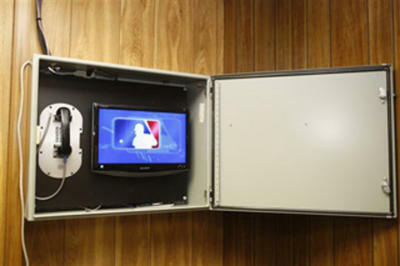 Suddenly calls would always reflect the truest outcome seen by the viewer—how wild an idea it is to give the umpires themselves the same benefits of technology enjoyed by every fan watching the game from a couch or at a bar. And if a call is simply too close to call on replay, then of course the on-field call should be respected. Additionally, having the lead umpire—let’s call him The Maximum Umpire, for fun’s sake—administer game calls defeats the greatest argument/concern about using instant replay in any sport. The first and lesser argument is that there always has been a human element in the officiating and there always should be. This is silly for obvious reasons and easily dismissed. Sports is huge business and a huge part of a huge many people’s lives. We deserve to have our sports judged fairly. The second (and real) argument is that instant replay slows a game down. This is only true depending on how replay is administered. The NBA and NFL stop their games for on-field officials to watch instant replays on the sidelines. This is tedious and unnecessary, and Old Man Baseball already knows he’s oft-criticized for game length and slow pace of play. But a Maximum Umpire in the booth can call balls and strikes and reverse on-field calls in seconds, and he can do so with the best potential accuracy. So yes, these advancements require a monumental change in the responsibilities, and even our own spectators’ views of, on-field umpires. Yes, umpiring the field will be less prestigious when a replay forces the ump to change a dramatic ‘out’ call to safe, or vice versa, sometimes repeatedly in the same game. But who cares, other than the umpires? Who else shouldn’t want the best judging possible, judging done by humans incorporating the best technology available to them instead of merely trusting their own reflexes and recall? The real issue is simple: If the technology exists to dramatically enhance the umpiring of a baseball game, why isn’t baseball employing it? It seems like umpires should have the same resources available to them that fans have. It seems like players would argue with umpires less if botched calls were corrected and a consistent strike zone was created. It seems like we could easily take a lot of the stress and frustration out of watching, playing, and even – and especially – umpiring baseball games. Careful, though. Old Man Baseball doesn’t want to hear all this. Advancement requires change — deep, fundamental change — and the old guy is already off in need of dry pajamas.